The Bombardier Global Express XRS corporate jet is the most luxurious, most accomplished business aircraft ever built, accommodating the desires of the most sophisticated and demanding traveler with no compromises. Building on its Global Express heritage and raising the bar yet again, this extraordinary aircraft offers even greater cabin comfort, enhanced performance and further advanced technology for increased productivity and peace of mind. 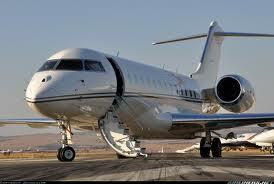 No other business private jet flying today carries you faster, farther. Balancing comfort, speed and range in a way that maximizes each with agile brilliance, the Bombardier Global Express XRS corporate jet places you at the top of your game and the world in the palm of your hand.